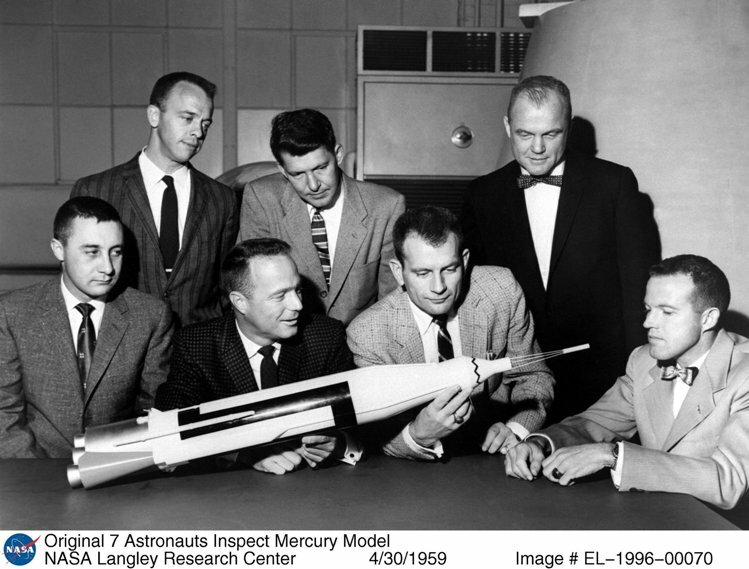 Born on Oct. 7, 1958, Project Mercury spanned five years, and had six history-making manned missions. In that short time, NASA achieved the goal of orbiting the Earth in a manned spacecraft. On April 1, 1959, the final selection was made and at a press conference in Washington, D.C., on April 9, 1959, NASA introduced the astronauts to the world. 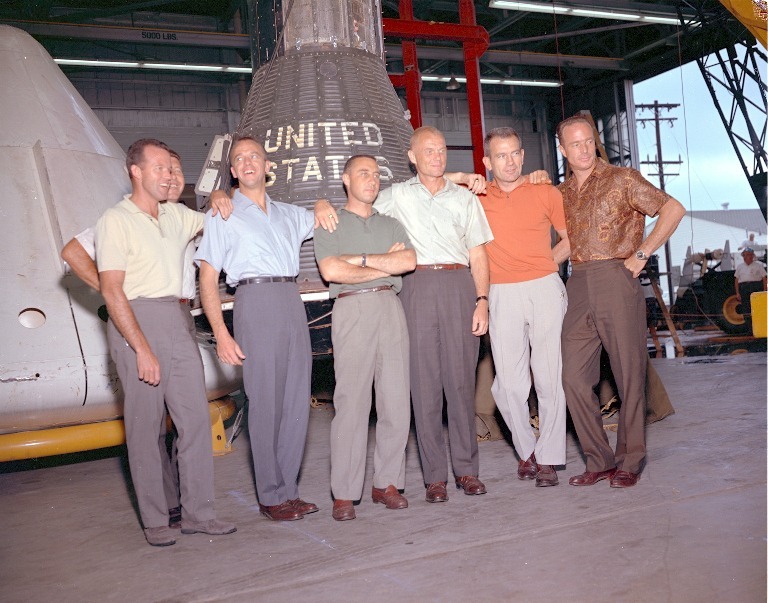 The "Mercury Seven" were Scott Carpenter, L. Gordon Cooper, Jr., John H. Glenn, Jr., Virgil I. 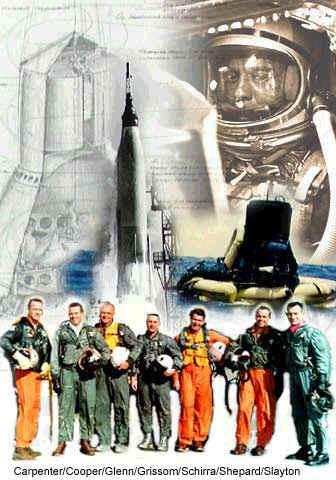 "Gus" Grissom, Walter M. Schirra, Jr., Alan B. Shepard, Jr., and Donald K. "Deke" Slayton. 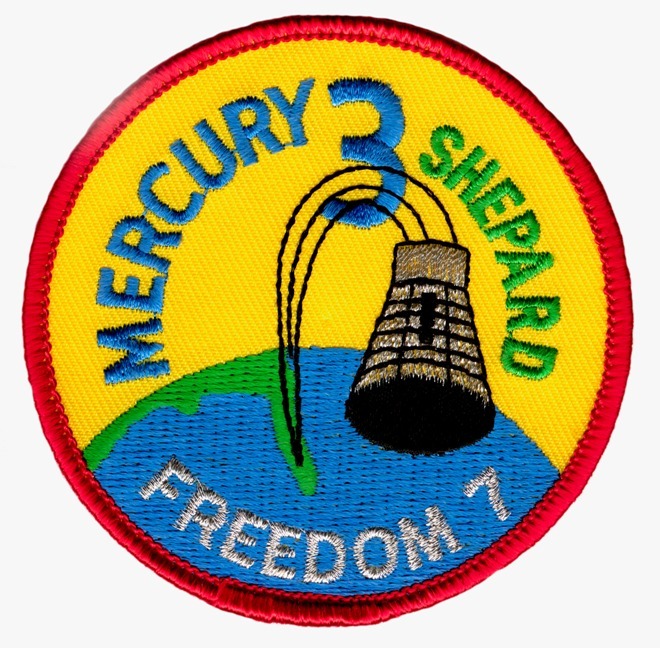 Shepard became the first American in space in 1961 with his historic flight abaord Freedom 7. 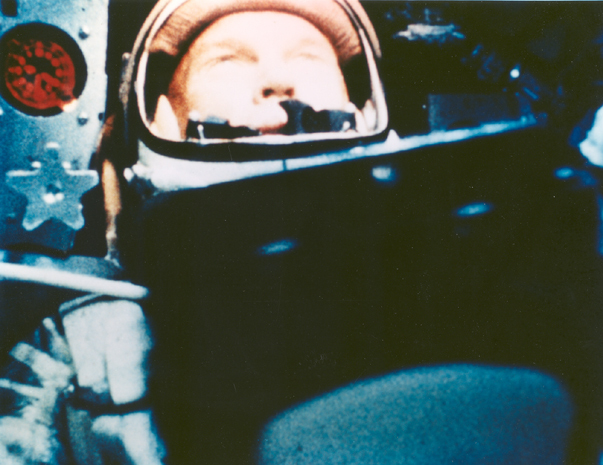 In 1962, Glenn became the first American to orbit the Earth. 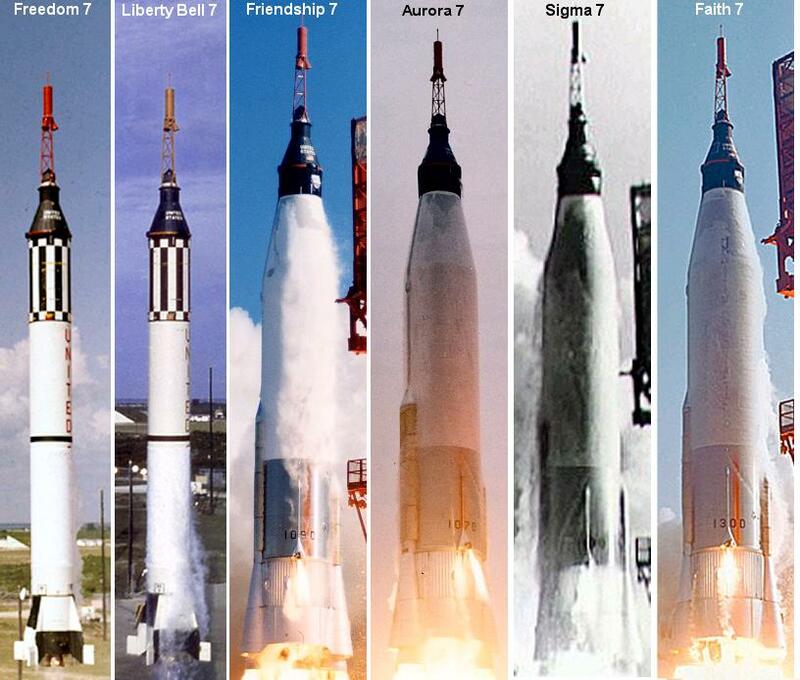 The flights of Shepard, Glenn and the other Mercury 7 astronauts paved the way for the Gemini and Apollo programs, as well as for all further human spaceflight. 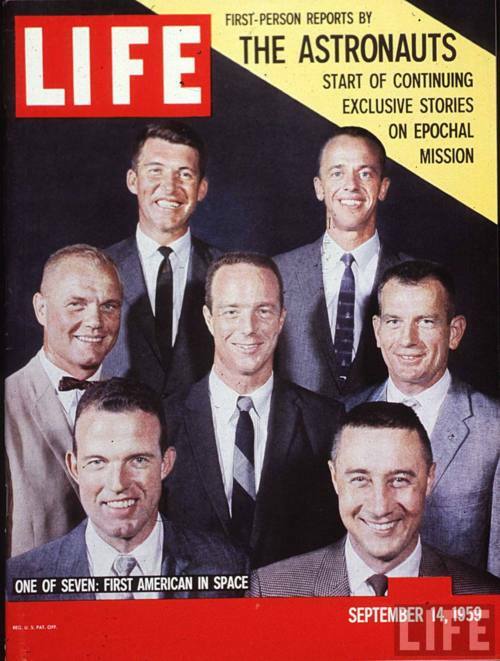 The American public first met the seven men chosen to be this country's first human space voyagers on April 9, 1959, at a press conference in Washington. The men were dubbed "astronauts." The term was a cross between "aeronauts," as ballooning pioneers were called, and "Argonauts," the legendary Greeks in search of the Golden Fleece. These new explorers were being prepared to sail into the new, uncharted vastness of space. The United States' first manned space flight project was successfully accomplished in a 4 2/3 year period of dynamic activity which saw more than 2,000,000 people from many major government agencies and much of the aerospace industry combine their skills, initiative, and experience into a national effort. 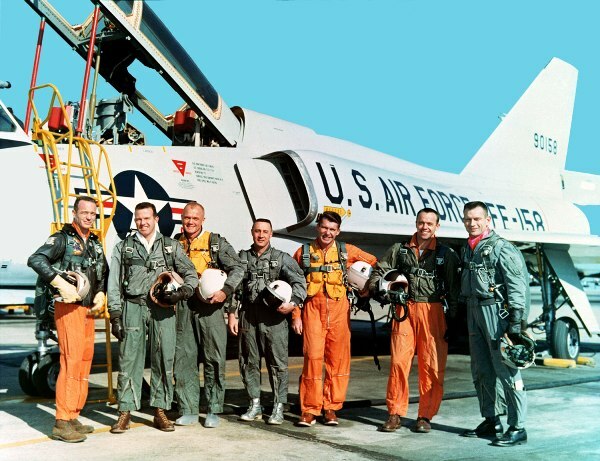 In this period, six manned space flights were accomplished as part of a 25-flight program. These manned space flights were accomplished with complete pilot safety and without change to the basic Mercury concepts. It was shown that man can function ably as a pilot-engineer-experimenter without undesirable reactions or deteriorations of normal body functions for periods up to 34 hours of weightless flight. Directing this large and fast moving project required the development of a management structure and operating mode that satisfied the requirement to mold the many different entities into a workable structure. The management methods and techniques so developed are discussed. 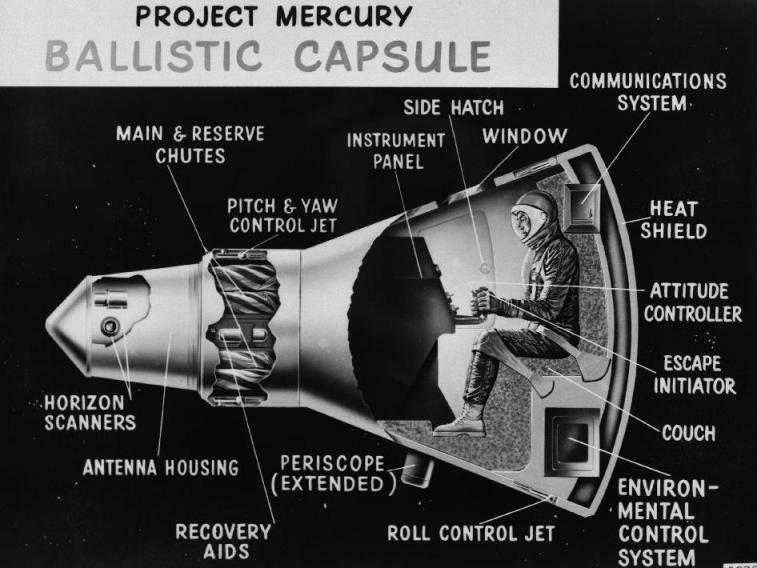 Other facets of the Mercury experience such as techniques and philosophies developed to insure well-trained flight and ground crews and correctly prepared space vehicles are discussed. Also, those technical areas of general application to aerospace activities that presented obstacles to the accomplishment of the project are briefly discussed. Emphasis is placed on the need for improved detail design guidelines and philosophy, complete and appropriate hardware qualification programs, more rigorous standards, accurate and detailed test procedures, and more responsive configuration control techniques. 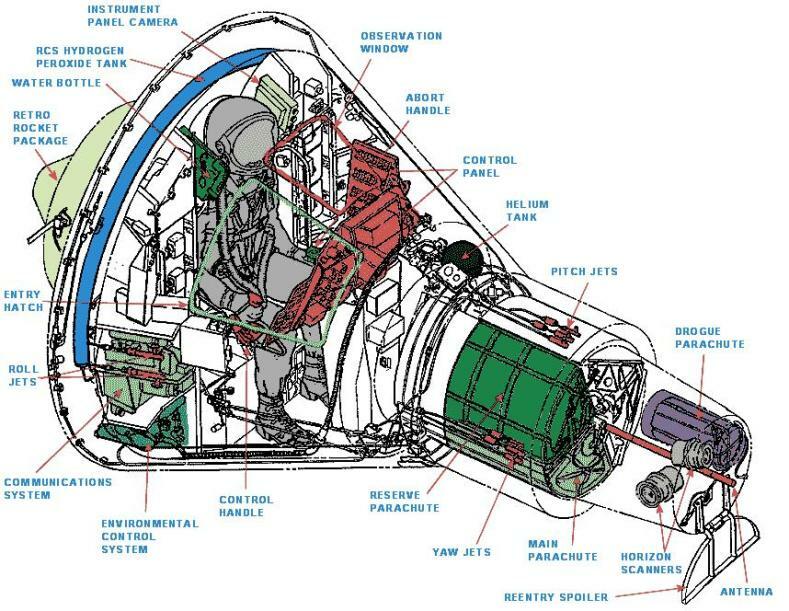 The first U.S. spaceship was a cone-shaped one-man capsule with a cylinder mounted on top. Two meters (6 ft, 10 in) long, 1.9 meters (6 ft, 2 1/2 in) in diameter, a 5.8 meter (19 ft, 2 in) escape tower was fastened to the cylinder of the capsule. The blunt end was covered with an ablative heat shield to protect it against the 3000 degree heat of entry into the atmosphere. 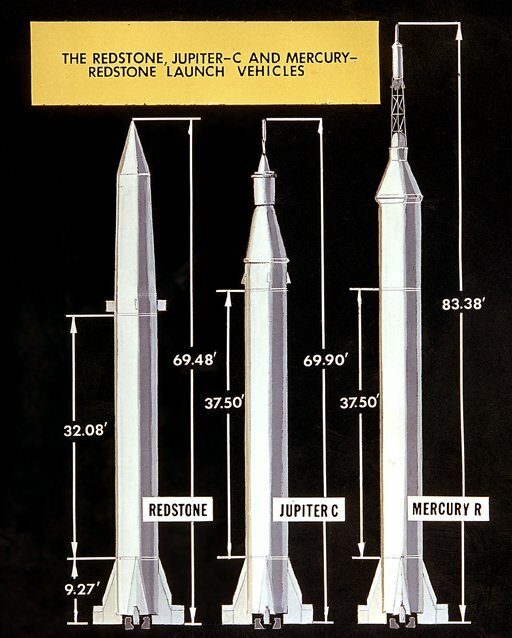 The Mercury program used two launch vehicles: A Redstone for the suborbital and an Atlas for the four orbital flights. Prior to the manned flights, unmanned tests of the booster and the capsule, carrying a chimpanzee, were made. Each astronaut named his capsule and added the numeral 7 to denote the teamwork of the original astronauts. Marine Helicopter recovering FREEDOM 7 and Alan B. Shepard, Jr.
Suborbital flight that successfully put the first American in space. Also suborbital; successful flight but the spacecraft sank shortly after splashdown. On February 20, 1962, astronaut John Glenn piloted the Mercury-Atlas 6 "Friendship 7" spacecraft on the first U.S. manned orbital mission. He successfully completed three orbits around the Earth, reaching an orbital velocity of approximately 17,500 miles per hour. Three-orbit flight that placed the first American into orbit. Confirmed the success of Mercury-Atlas 6 by duplicating flight. 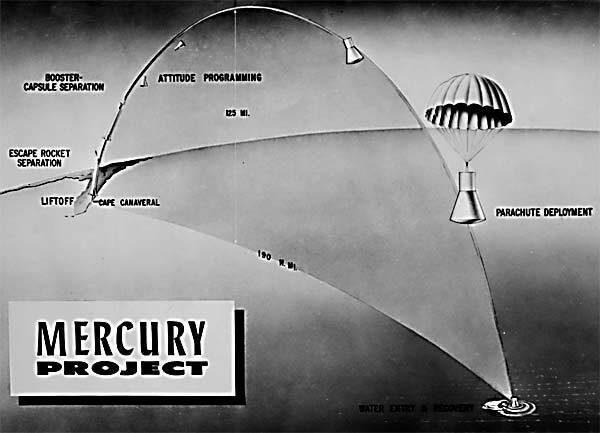 Last Mercury mission; completed 22 orbits to evaluate effects of one day in space. PERSONAL DATA: Born March 12, 1923, in Hackensack, New Jersey. CLUBS: Society of Experimental Test Pilots (Fellow), 1958- present; AAS (Fellow), 1960-present; Explorers Club (Fellow) 1965-present; Makai Country Club, Kauai (Princeville), Hi, 1971-present; Rancho Santa Fe Tennis Club, 1985-present; San Diego Yacht Club, 1987-present; Charlie Russell Riders, Charter Member, 1985-present; Rancheros Visitadores, Member, 1989-present; Desert Caballeros, Member, 1989-present; Durango Mountain Caballeros, Member, 1989-present; Q.E.D., San Diego, Ca, 1989-present; The Golden Eagles, (Naval Aviators), 1989- present. 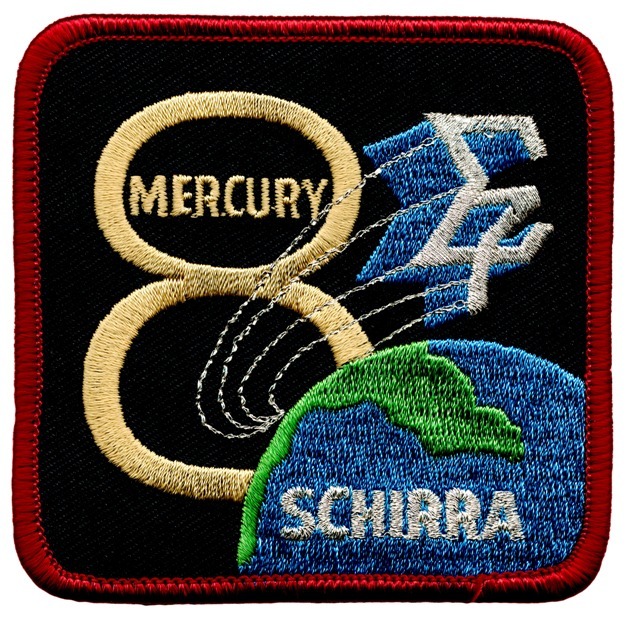 NASA EXPERIENCE: Captain Schirra was one of the seven Mercury Astronauts named by NASA in April 1959. On October 3, 1962; he piloted the six orbit Sigma 7 Mercury flight; a flight which lasted 9 hours, 15 minutes. The spacecraft attained a velocity of 17,557 miles per hour at an altitude of 175 statue miles and traveled almost 144,000 statute miles before re-entry into the earth's atmosphere. Recovery of the Sigma 7 spacecraft occurred in the Pacific Ocean about 275 miles northeast of Midway Island. BUSINESS EXPERIENCE: Director, Imperial American (Oil & Gas), 1967, 68, 69; President, Regency Investors (Leasing), 1969-1970; Founder, Environmental Control Co. (ECCO), 1970-1973; Director, J.D. Jewel (Chicken Comp.) 1971, 72, 73; Director, First National Bank, Englewood, Co., 1971-1978; Belgian Consulate for Colorado and New Mexico, 1971-1984; Director, V.P., Chairman, Sernco, 1973-1974; Director, Rocky Mountain Airlines, 1973-1984; Director, Carlsberg Oil & Gas, 1974, 1975; V. P., Johns-Manville Sales Corp., Denver, Co, 1975, 76, 77; Director, Advertising Unlimited, Sleepy Eye, MN, 1978-87; Director, Electromedics, Denver, Co, 1979-1985; President, Prometheus Systems, Inc., 1980-1981; Director, Finalco (Leasing Co.), McLean, Va, 1983-1988; Director, Cherokee Data Systems, Boulder, Co, 1984-1986; Director, Net Air Int., Van Nuys, Ca, 1982-1989; Director, Kimberly-Clark, Neenah, Wi, 1983-1991; Independent Consultant, Schirra Enterprises, 1979-Present; Director, Zero Plus Telecommunications, Inc., Campbell, Ca, 1986-Present. CIVIC ACTIVITIES: Advisory Committee, Oceans Foundations, San Diego, Ca, 1985-present; Advisory Board/Council, U.S. National Parks (Interior), 1973-1985; Director, Denver Organizing Committee for 1976 Olympics, 1973-1975; Advisor, Flight for Life, Mercy Hospital, Denver, Co, 1978-1986; Trustee, Colorado Outward Bound School (COB), 1970-1974; COB Regional Trustee, 1988-present; Advisory Board, International "Up With People", 1976-present; Founder/Director, Mercury Seven Foundation, 1982-present; Director, San Diego Aerospace Museum, 1984-present; Trustee, Scripps Aquarium, 1985-present; International Council, The Salk Institute, La Jolla, Ca, 1989-present; Sharps Hospital, Foundations Board, San Diego, Ca, 1988- present. PERSONAL DATA: Born March 1, 1924, in Sparta, Wisconsin. Died June 13, 1993. He is survived by wife, Bobbie, and son, Kent. EDUCATION: Graduated from Sparta High School; received a bachelor of science degree in Aeronautical Engineering from the University of Minnesota, Minneapolis, Minnesota, in 1949. ORGANIZATIONS: Fellow of the Society of Experimental Test Pilots and the American Astronautical Society; associate fellow of the American Institute of Aeronautics and Astronautics; member of the Experimental Aircraft Association, the Space Pioneers, and the Confederate Air Force; life member of the Order of Daedalians, the National Rifle Association of America, the Veterans of Foreign Wars, and the Fraternal Order of Eagles; honorary member of the American Fighter Aces Association, and the National WWII Glider Pilots Association. SPECIAL HONORS: NASA Distinguished Service Medal (3); NASA Exceptional Service Medal; the Collier Trophy; the SETP Iven C. Kincheloe Award; the Gen. Billy Mitchell Award; the SEPT J.H. Doolittle Award (1972); the National Institute of Social Sciences Gold Medal (1975); the Zeta Beta Tau’s Richard Gottheil Medal (1975); the Wright Brothers International Manned Space Flight Award (1975); the Veterans of Foreign Wars National Space Award (1976); the American Heart Association’s Heart of the Year Award (1976); the District 35-R Lions International American of the Year Award (1976); the AIAA Special Presidential Citation (1977); the University of Minnesota’s Outstanding Achievement Award (1977); the Houston Area Federal Business Association’s Civil Servant of the Year Award (1977); the AAS Flight Achievement Award for 1976 (1977); the AIAA Haley Astronautics Award for 1978; the NASA Outstanding Leadership Medal (1978); honorary doctorate in Science from Carthage College, Carthage, Illinois, in 1961; honorary doctorate in Engineering from Michigan Technological University in Houghton, Michigan, in 1965. EXPERIENCE: Slayton entered the Air Force as an aviation cadet and received his wings in April 1943 after completing flight training at Vernon and Waco, Texas. As a B-25 pilot with the 340th Bombardment Group, he flew 56 combat missions in Europe. He returned to the United States in mid-1944 as a B-25 instructor pilot at Columbia, South Carolina, and later served with a unit responsible for checking pilot proficiency in the A-26. In April 1945, he was sent to Okinawa with the 319th Bombardment Group and flew seven combat missions over Japan. He served as a B-25 instructor for one year following the end of the war and subsequently left the Air Force to enter the University of Minnesota. He became an aeronautical engineer after graduation and worked for two years with the Boeing Aircraft Corporation at Seattle, Washington, before being recalled to active duty in 1951 with the Minnesota Air National Guard. Upon reporting for duty, he was assigned as maintenance flight test officer of an F-51 squadron located in Minneapolis, followed by 18-months as a technical inspector at Headquarters Twelfth Air Force, and a similar tour as fighter pilot and maintenance office with the 36th Fighter Day Wing at Bitburg, Germany. Returning to the United States in June 1955, he attended the USAF Test Pilot School at Edwards Air Force Base, California. He was a test pilot there from January 1956 until April 1959 and participated in the testing of fighter aircraft built for the United States Air Force and some foreign countries. He has logged more than 6,600 hours flying time, including 5,100 hours in jet aircraft. NASA EXPERIENCE: Mr. Slayton was named as one of the Mercury astronauts in April 1959. He was originally scheduled to pilot the Mercury-Atlas 7 mission but was relieved of this assignment due to a heart condition discovered in August 1959. Mr. Slayton became Coordinator of Astronaut Activities in September 1962 and was responsible for the operation of the astronaut office. In November 1963, he resigned his commission as an Air Force Major to assume the role of Director of Flight Crew Operations. In this capacity, he was responsible for directing the activities of the astronaut office, the aircraft operations office, the flight crew integration division, the crew training and simulation division, and the crew procedures division. Slayton was restored to full flight status and certified eligible for manned space flights in March 1972, following a comprehensive review of his medical status by NASA’s Director of Life Sciences and the Federal Aviation Agency. Mr. Slayton made his first space flight as Apollo docking module pilot of the Apollo-Soyuz Test Project (ASTP) mission, July 15-24, 1975—a joint space flight culminating in the first historical meeting in space between American astronauts and Soviet cosmonauts. Completing the United States flight crew for this 9-day earth-orbital mission were Thomas P. Stafford (Apollo commander) and Vance D. Brand (Apollo command module Pilot). 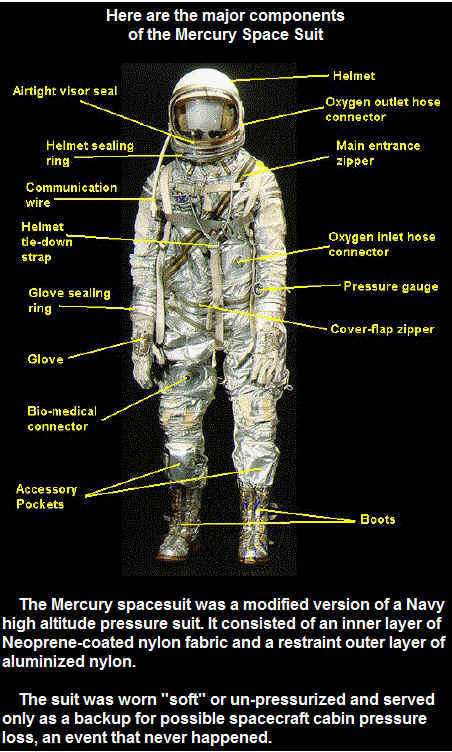 In the Soviet spacecraft were cosmonauts Alexey Leonov (Soyuz commander) and Valeriy Kubasov (Soyuz flight engineer). The crewmen of both nations participated in a rendezvous and subsequent docking, with Apollo the active spacecraft. The event marked the successful testing of a universal docking system and signaled a major advance in efforts to pave the way for the conduct of joint experiments and/or the exchange of mutual assistance in future international space explorations. There were 44 hours of docked joint activities during ASTP, highlighted by four crew transfers and the completion of a number of joint scientific experiments and engineering investigations. All major ASTP objectives were accomplished and included: testing a compatible rendezvous system in orbit; testing of androgynous docking assemblies; verifying techniques for crew transfers; and gaining experience in the conduct of joint international flights. 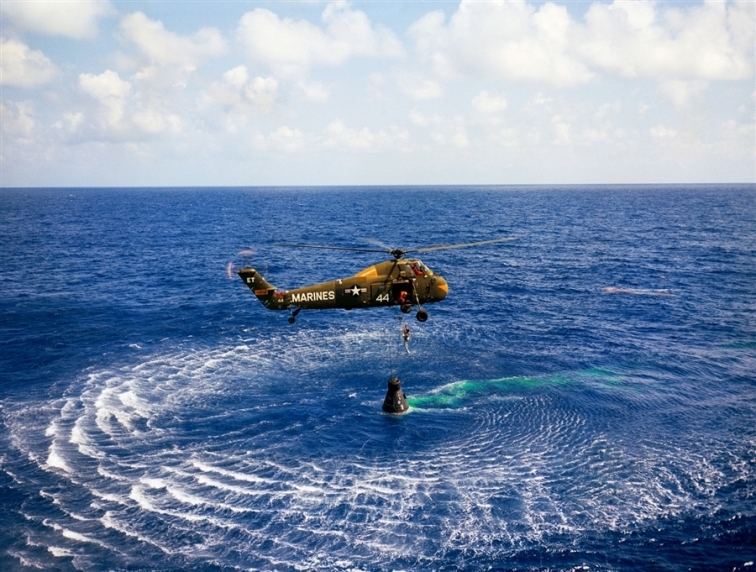 Apollo splashed down in the Pacific Ocean near Hawaii and was quickly recovered by the USS NEW ORLEANS. 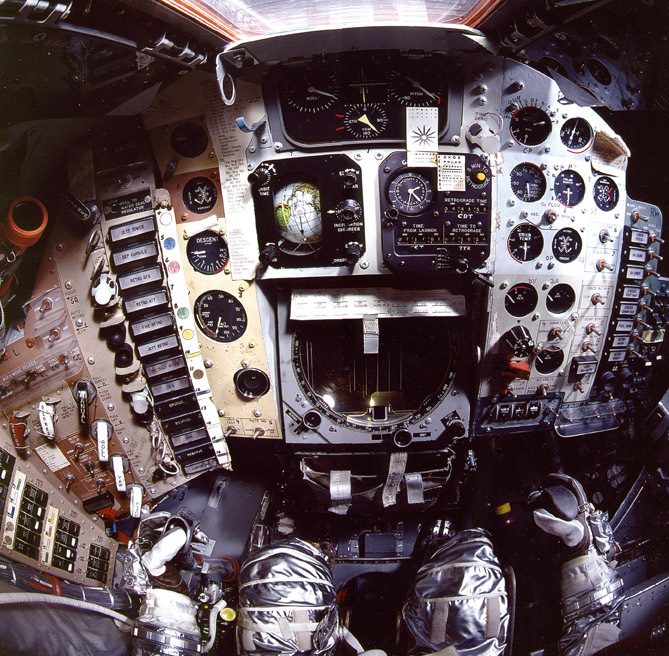 Slayton logged 217 hours and 28 minutes in his first space flight. From December 1975 through November 1977, Slayton served as Manager for Approach and Landing Test Project. He directed the Space Shuttle approach and landing test project through a series of critical orbiter flight tests that allowed in-flight test and checkout of flight controls and orbiter subsystems and permitted extensive evaluations of the orbiter’s subsonic flying qualities and performance characteristics. He next served as Manager for Orbital Flight Test, directing orbital flight mission preparations and conducting mission operations. He was responsible for OFT operations scheduling, mission configuration control, preflight stack configuration control, as well as conducting planning reviews, mission readiness reviews, and postflight mission evaluations. He was also responsible for the 747/orbiter ferry program. Slayton retired from NASA in 1982. 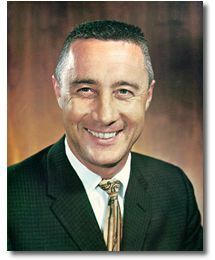 He was president of Space Services Inc., of Houston, a company he founded to develop rockets for small commercial payloads. Slayton died on June 13, 1993, in League City, Texas, from complications of a brain tumor. PERSONAL DATA: Born July 18, 1921 in Cambridge, Ohio. Married to the former Anna Margaret Castor of New Concord, Ohio. They have two grown children and two grandchildren. EDUCATION: Glenn attended primary and secondary schools in New Concord, Ohio. He attended Muskingum College in New Concord and received a Bachelor of Science degree in Engineering. Muskingum College also awarded him an honorary Doctor of Science degree in engineering. He has received honorary doctoral degrees from nine colleges or universities. SPECIAL HONORS: Glenn has been awarded the Distinguished Flying Cross on six occasions, and holds the Air Medal with 18 Clusters for his service during World War II and Korea. Glenn also holds the Navy Unit Commendation for service in Korea, the Asiatic-Pacific Campaign Medal, the American Campaign Medal, the World War II Victory Medal, the China Service Medal, the National Defense Service Medal, the Korean Service Medal, the United Nations Service Medal, the Korean Presidential Unit Citation, the Navy's Astronaut Wings, the Marine Corps' Astronaut Medal, the NASA Distinguished Service Medal, and the Congressional Space Medal of Honor. EXPERIENCE: He entered the Naval Aviation Cadet Program in March 1942 and was graduated from this program and commissioned in the Marine Corps in 1943. After advanced training, he joined Marine Fighter Squadron 155 and spent a year flying F-4U fighters in the Marshall Islands. During his World War II service, he flew 59 combat missions. After the war, he was a member of Marine Fighter Squadron 218 on the North China patrol and served on Guam. From June 1948 to December 1950 Glenn was an instructor in advanced flight training at Corpus Christi, Texas. He then attended Amphibious Warfare Training at Quantico, Virginia. In Korea he flew 63 missions with Marine Fighter Squadron 311. As an exchange pilot with the Air Force Glenn flew 27 missions in the in F-86 Sabrejet. In the last nine days of fighting in Korea Glenn downed three MIG's in combat along the Yalu River. In July 1957, while project officer of the F8U Crusader, he set a transcontinental speed record from Los Angeles to New York, spanning the country in 3 hours and 23 minutes. This was the first transcontinental flight to average supersonic speed. Glenn has nearly 9,000 hours of flying time, with approximately 3,000 hours in jet aircraft. NASA EXPERIENCE: Glenn was assigned to the NASA Space Task Group at Langley Research Center, Hampton, Virginia, in April 1959 after his selection as a Project Mercury Astronaut. The Space Task Group was moved to Houston and became part of the NASA Manned Spacecraft Center in 1962. 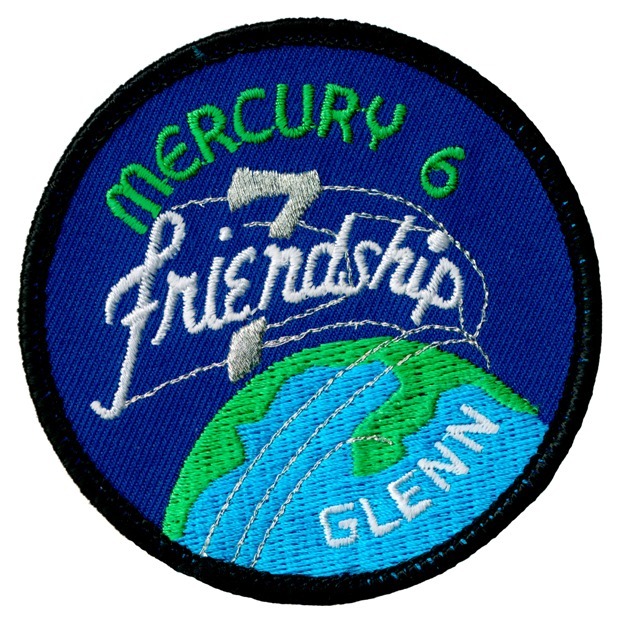 Glenn flew on Mercury-6 (February 20, 1962) and STS-95 (October 29 to November 7, 1998), and has logged over 218 hours in space. 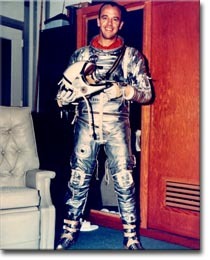 Prior to his first flight, Glenn had served as backup pilot for Astronauts Shepard and Grissom. 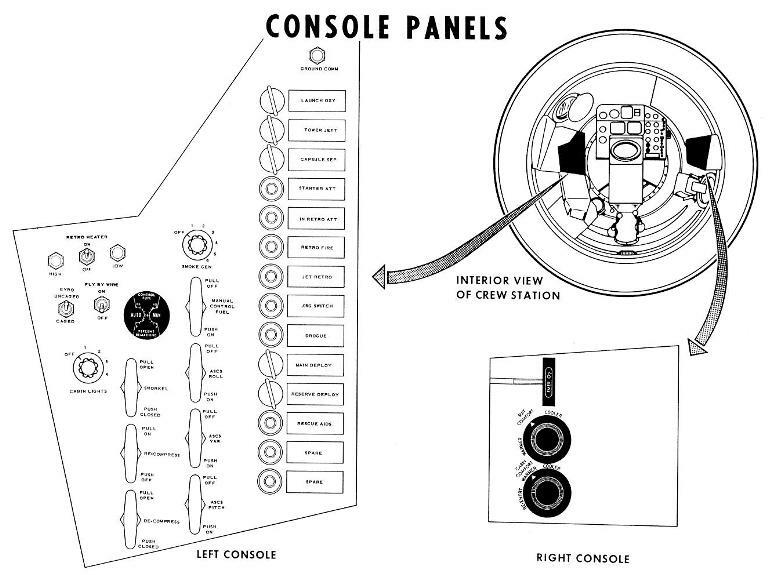 When astronauts were given special assignments to ensure pilot input into the design and development of spacecraft, Glenn specialized in cockpit layout and control functioning, including some of the early designs for the Apollo Project. Glenn resigned from the Manned Spacecraft Center on January 16, 1964. He was promoted to the rank of Colonel in October 1964 and retired from the Marine Corps on January 1, 1965. He was a business executive from 1965 until his election to the United States Senate in November 1974. Glenn retired from the U.S. Senate in January 1999. 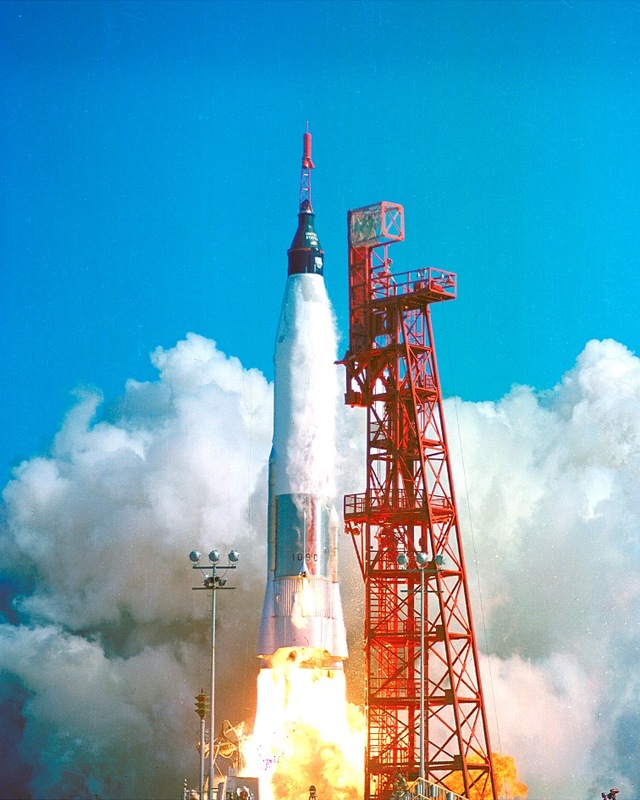 SPACE FLIGHT EXPERIENCE: On February 20, 1962, Glenn piloted the Mercury-Atlas 6 "Friendship 7" spacecraft on the first manned orbital mission of the United States. Launched from Kennedy Space Center, Florida, he completed a successful three-orbit mission around the earth, reaching a maximum altitude (apogee) of approximately 162 statute miles and an orbital velocity of approximately 17,500 miles per hour. Glenn's "Friendship 7" Mercury spacecraft landed approximately 800 miles southeast of KSC in the vicinity of Grand Turk Island. Mission duration from launch to impact was 4 hours, 55 minutes, and 23 seconds. STS-95 Discovery (October 29 to November 7, 1998) was a 9-day mission during which the crew supported a variety of research payloads including deployment of the Spartan solar-observing spacecraft, the Hubble Space Telescope Orbital Systems Test Platform, and investigations on space flight and the aging process. The mission was accomplished in 134 Earth orbits, traveling 3.6 million miles in 213 hours and 44 minutes. 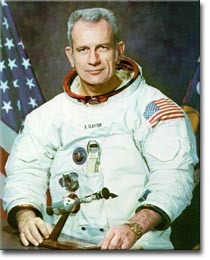 Scott Carpenter, a dynamic pioneer of modern exploration, has the unique distinction of being the first human ever to penetrate both inner and outer space, thereby acquiring the dual title, Astronaut/Aquanaut. 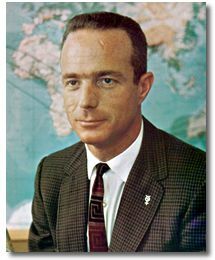 He was born in Boulder, Colorado, on May 1, 1925, the son of research chemist Dr. M. Scott Carpenter and Florence Kelso Noxon Carpenter. He attended the University of Colorado from 1945 to 1949 and received a bachelor of science degree in Aeronautical Engineering. Carpenter was commissioned in the U.S. Navy in 1949. He was given flight training at Pensacola, Florida and Corpus Christi, Texas and designated a Naval Aviator in April, 1951. During the Korean War he served with patrol Squadron Six, flying anti-submarine, ship surveillance, and aerial mining, and ferret missions in the Yellow Sea, South China Sea, and the Formosa Straits. He attended the Navy Test Pilot School at Patuxent River, Maryland, in 1954 and was subsequently assigned to the Electronics Test Division of the Naval Air Test Center, also at Patuxent. In that assignment he flew tests in every type of naval aircraft, including multi- and single-engine jet and propeller-driven fighters, attack planes, patrol bombers, transports, and seaplanes. From 1957 to 1959 he attended the Navy General Line School and the Navy Air Intelligence School and was then assigned as Air Intelligence Officer to the Aircraft Carrier, USS Hornet. 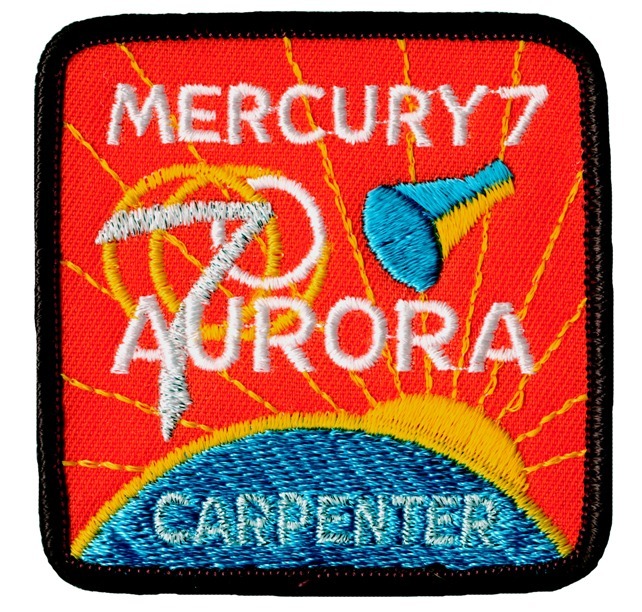 Carpenter was selected as one of the original seven Mercury Astronauts on April 9, 1959. He underwent intensive training with the National Aeronautics and Space Administration (NASA), specializing in communication and navigation. He served as backup pilot for John Glenn during the preparation for America’s first manned orbital space flight in February 1962. Carpenter flew the second American manned orbital flight on May 24, 1962. He piloted his Aurora 7 spacecraft through three revolutions of the earth, reaching a maximum altitude of 164 miles. The spacecraft landed in the Atlantic Ocean about 1000 miles southeast of Cape Canaveral after 4 hours and 54 minutes of flight time. 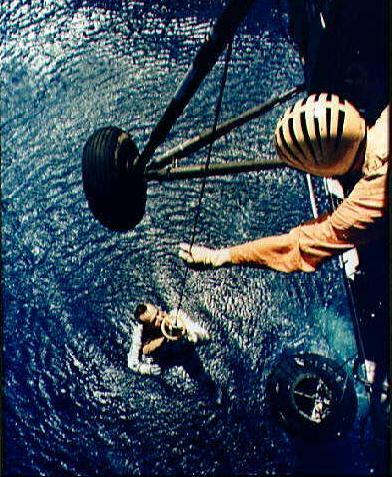 On leave of absence from NASA, Carpenter participated in the Navy’s Man-in the-Sea Project as an Aquanaut in the SEALAB II program off the coast of La Jolla, California, in the summer of 1965. During the 45-day experiment, Carpenter spent 30 days living and working on the ocean floor. He was team leader for two of the three ten-man teams of Navy and civilian divers who conducted deep-sea diving activities in a seafloor habitat at a depth of 205 feet. He returned to duties with NASA as Executive Assistant to the Director of the Manned Spaceflight Center and was active in the design of the Apollo Lunar Landing Module and in underwater extravehicular activity (EVA) crew training. Upon retirement from the Navy in 1969,after twenty-five years of service, Carpenter founded and was chief executive officer of Sear Sciences, Inc., a venture capital corporation active in developing programs aimed at enhanced utilization of ocean resources and improved health of the planet. In pursuit of these and other objectives, he worked closely with the French oceanographer J.Y. Cousteau and members of his Calypso team. He has dived in most of the world’s oceans, including the Arctic under ice. As a consultant to sport and professional diving equipment manufacturers, he has contributed to design improvements in diving instruments, underwater breathing equipment, swimmer propulsion units, small submersibles, and other underwater devices. Additional projects brought to fruition by his innovative guidance have involved biological pest control and the production of energy from agricultural and industrial waste. He has also been instrumental in the design and improvement of several types of waste handling and waste-transfer equipment. Carpenter continues to apply his knowledge of aerospace and ocean engineering as a consultant to industry and the private sector. He lectures frequently in the U.S. and abroad on the history and future of ocean and space technology, the impact of scientific and technological advance on human affairs, and man’s continuing search for excellence. An avid skier, he spends much of his free time on the slopes in his home of Vail, Colorado, his home for the past fifteen years. He has appeared as television spokesman for many major corporations, including General Motors (Oldsmobile), standard Oil of California, Nintendo, and Atari; and has hosted and narrated a number of television documentaries. He has also served as actor/consultant to the film industry in the fields of space flight, oceanography, and the global environment. He has written two novels, both dubbed “underwater techno-thrillers.” The first was entitled “The Steel Albatross.” The second, a sequel, was called “Deep Flight.” His memoir, “For Spacious Skies” which he co-authored with his daughter, Kristen Stoever, was published by Harcourt in January 2003. Carpenter’s awards include the Navy’s Legion of Merit, the Distinguished Flying Cross, the NASA Distinguished Service Medal, U.S. Navy Astronaut Wings, the University of Colorado Recognition Medal, the Collier Trophy, the New York City Gold Medal of Honor, the Elisha Kent Kane Medal, the Ustica Gold Trident, and the Boy Scouts of America Silver Buffalo. He has been awarded seven honorary degrees. PERSONAL DATA: Born November 18, 1923, in East Derry, New Hampshire. Died on July 21, 1998. His wife, Louise, died on August 25, 1998. They are survived by daughters Julie, Laura and Alice, and six grandchildren. EDUCATION: Attended primary and secondary schools in East Derry and Derry, New Hampshire; received a Bachelor of Science degree from the United States Naval Academy in 1944, an Honorary Master of Arts degree from Dartmouth College in 1962, and Honorary Doctorate of Science from Miami University (Oxford, Ohio) in 1971, and an Honorary Doctorate of Humanities from Franklin Pierce College in 1972. Graduated Naval Test Pilot School in 1951; Naval War College, Newport, Rhode Island in 1957. ORGANIZATIONS: Fellow of the American Astronautical Society and the Society of Experimental Test Pilots; member of the Rotary, the Kiwanis, the Mayflower Society, the Order of the Cincinnati, and the American Fighter Aces; honorary member, Board of Directors for the Houston School for Deaf Children, Director, National Space Institute, and Director, Los Angeles Ear Research Institute. SPECIAL HONORS: Congressional Medal of Honor (Space); Awarded two NASA Distinguished Service Medals, the NASA Exceptional Service Medal, the Navy Astronaut Wings, the Navy Distinguished Service Medal, and the Navy Distinguished Flying Cross; recipient of the Langley Medal (highest award of the Smithsonian Institution) on May 5, 1964, the Lambert Trophy, the Kinchloe Trophy, the Cabot Award, the Collier Trophy, the City of New York Gold Medal (1971), Achievement Award for 1971. Shepard was appointed by the President in July 1971 as a delegate to the 26th United Nations General Assembly and served through the entire assembly which lasted from September to December 1971. EXPERIENCE: Shepard began his naval career, after graduation from Annapolis, on the destroyer COGSWELL, deployed in the pacific during World War II. He subsequently entered flight training at Corpus Christi, Texas, and Pensacola, Florida, and received his wings in 1947. His next assignment was with Fighter Squadron 42 at Norfolk, Virginia, and Jacksonville, Florida. He served several tours aboard aircraft carriers in the Mediterranean while with this squadron. In 1950, he attended the United States Navy Test Pilot School at Patuxent River, Maryland. After graduation, he participated in flight test work which included high- altitude tests to obtain data on light at different altitudes and on a variety of air masses over the American continent; and test and development experiments of the Navy's in-flight refueling system, carrier suitability trails of the F2H3 Banshee, and Navy trials of the first angled carrier deck. He was subsequently assigned to Fighter Squadron 193 at Moffett Field, California, a night fighter unit flying Banshee jets. As operations officer of this squadron, he made two tours to the Western pacific onboard the carrier ORISKANY. He returned to Patuxent for a second tour of duty and engaged in flight testing the F3H Demon, F8U Crusader, F4D Skyray, and F11F Tigercat. He was also project test pilot on the F5D Skylancer, and his last five months at Patuxent were spent as an instructor in the Test Pilot School. He later attended the Naval War College at Newport, Rhode Island, and upon graduating in 1957 was subsequently assigned to the staff of the Commander-in-Chief, Atlantic Fleet, as aircraft readiness officer. He has logged more than 8,000 hours flying time--3,700 hours in jet aircraft. NASA EXPERIENCE: Rear Admiral Shepard was one of the Mercury astronauts named by NASA in April 1959, and he holds the distinction of being the first American to journey into space. 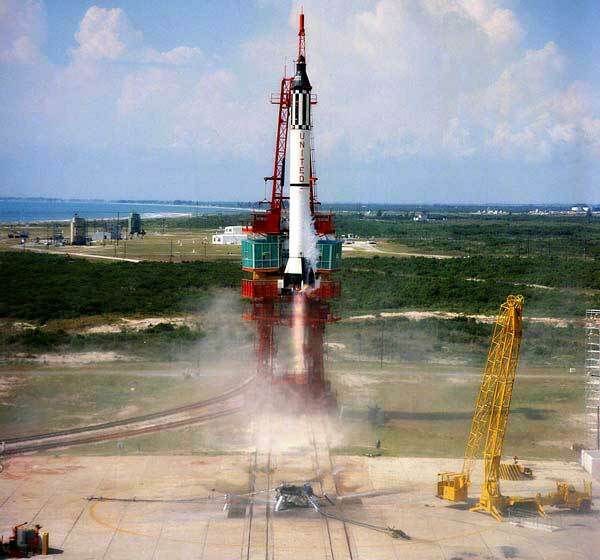 On May 5, 1961, in the Freedom 7 spacecraft, he was launched by a Redstone vehicle on a ballistic trajectory suborbital flight--a flight which carried him to an altitude of 116 statute miles and to a landing point 302 statute miles down the Atlantic Missile Range. In 1963, he was designated Chief of the Astronaut Office with responsibility for monitoring the coordination, scheduling, and control of all activities involving NASA astronauts. 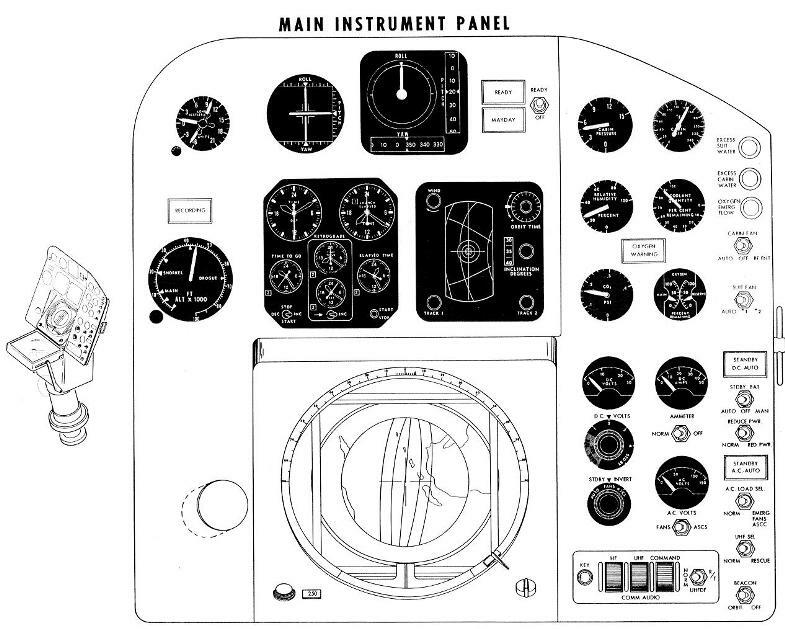 This included monitoring the development and implementation of effective training programs to assure the flight readiness of available pilot/non-pilot personnel for assignment to crew positions on manned space flights; furnishing pilot evaluations applicable to the design, construction, and operations of spacecraft systems and related equipment; and providing qualitative scientific and engineering observations to facilitate overall mission planning, formulation of feasible operational procedures, and selection and conduct of specific experiments for each flight. He was restored to full flight status in May 1969, following corrective surgery for an inner ear disorder. Shepard made his second space flight as spacecraft commander on Apollo 14, January 31 - February 9, 1971. He was accompanied on man's third lunar landing mission by Stuart A. Roosa, command module pilot, and Edgar D. Mitchell, lunar module pilot. Maneuvering their lunar module, "Antares," to a landing in the hilly upland Fra Mauro region of the moon, Shepard and Mitchell subsequently deployed and activated various scientific equipment and experiments and collected almost 100 pounds of lunar samples for return to earth. Other Apollo 14 achievements included: first use of Mobile Equipment Transporter (MET); largest payload placed in lunar orbit; longest distance traversed on the lunar surface; largest payload returned from the lunar surface; longest lunar surface stay time (33 hours); longest lunar surface EVA (9 hours and 17 minutes); first use of shortened lunar orbit rendezvous techniques; first use of colored TV with new vidicon tube on lunar surface; and first extensive orbital science period conducted during CSM solo operations. Rear Admiral Shepard has logged a total of 216 hours and 57 minutes in space, of which 9 hours and 17 minutes were spent in lunar surface EVA. He resumed his duties as Chief of the Astronaut Office in June 1971 and served in this capacity until he retired from NASA and the Navy on August 1, 1974. Shepard was in private business in Houston, Texas. He served as the President of the Mercury Seven Foundation, a non-profit organization which provides college science scholarships for deserving students. PERSONAL DATA: Born April 3, 1926, in Mitchell., Indiana. Died January 27, 1967, at NASA Kennedy Space Center, Florida, in the Apollo spacecraft fire. He is survived by his wife Betty and their two children. EDUCATION: Graduated from Mitchell High School; received a Bachelor of Science degree in Mechanical Engineering from Purdue University. ORGANIZATIONS: Member of the Society of Experimental Test Pilots. SPECIAL HONORS: Distinguished Flying Cross and the Air Medal with cluster for his Korean service, two NASA Distinguished Service medals and the NASA Exceptional Service Medal; the Air Force Command Astronaut Wings. EXPERIENCE: Grissom, an Air Force Lieutenant Colonel, received his wings in March 1951. He flew 100 combat missions in Korea in F-86s with the 334th Fighter Interceptor Squadron and, upon returning to the United States in 1952, became a jet instructor at Bryan, Texas. He has logged 4,600 hours flying time—3,500 hours in jet aircraft. 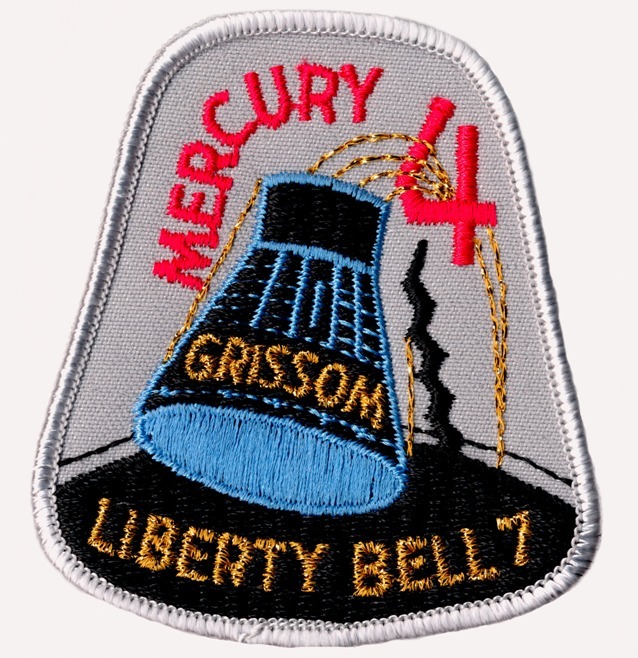 NASA EXPERIENCE: Grissom was one of the seven Mercury astronauts selected by NASA in April 1959. 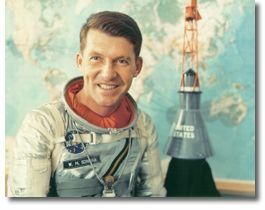 He piloted the “Liberty Bell 7 spacecraft -- the second and final suborbital Mercury test flight -- on July 21, 1961. This flight lasted 15 minutes and 37seconds, attained an altitude of 118 statute miles, and traveled 302 miles downrange from the launch pad at Cape Kennedy. On March 23, 1965, he served as command pilot on the first manned Gemini flight, A 3-orbit mission during which the crew accomplished the first orbital trajectory modifications and the first lifting reentry of a manned spacecraft. Subsequent to this assignment, he served as backup command pilot for Gemini 6. Lieutenant Colonel Grissom died on January 27, 1967, in the Apollo spacecraft flash fire during a launch pad test at Kennedy Space Center, Florida. PERSONAL DATA: Born March 6, 1927 in Shawnee, Oklahoma. His interests included treasure hunting, archeology, racing, flying, skiing, boating, hunting and fishing. 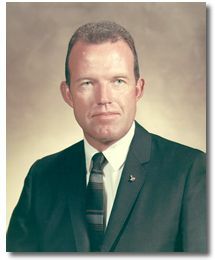 Gordon Cooper passed away on October 4, 2004, at his home in Ventura, California, at the age of 77. EDUCATION: Attended primary and secondary schools in Shawnee, Oklahoma and Murray, Kentucky; received a Bachelor of Science degree in Aeronautical Engineering from the Air Force Institute of Technology (AFIT) in 1956; recipient of an Honorary Doctorate of Science degree from Oklahoma City University in 1967. ORGANIZATIONS: The Society of Experimental Test Pilots, The American Institute of Aeronautics and Astronautics, The American Astronautical Society, The Blue Lodge Masons, The York Rite Masons, The Scottish Rite Masons, The Royal Order of Jesters, The Sojourners, The Rotary Club, The Daedalians, The Confederate Air Force, The Boy Scouts of America, The Girl Scouts of America. SPECIAL HONORS: The Air Force Legion of Merit, The Air Force Distinguished Flying Cross, The Air Force Distinguished Flying Cross Cluster, The NASA Exceptional Service Medal, The NASA Distinguished Service Medal, USAF Command Astronaut Wings, The Collier Trophy, The Harmon Trophy, The Scottish Rite 33, The York Rite Knight of the Purple Cross, The DeMolay Legion of Honor, The John F. Kennedy Trophy, The Ivan E. Kincheloe Trophy, The Air Force Association Trophy, The Primus Trophy, The John Montgomery Trophy, The General Thomas E. White Trophy, The Association of Aviation Writers Award, The University of Hawaii Regents Medal, The Columbus Medal, The Silver Antelope, The Sport Fishing Society of Spain Award. EXPERIENCE: Cooper, an Air Force Colonel, received an Army commission after completing three years of schooling at the University of Hawaii. He transferred his commission to the Air Force and was placed on active duty by that service in 1949 and given flight training. He logged more than 7,000 hours flying time--4,000 hours in jet aircraft. He had flown all types of Commercial and General aviation airplane and helicopters. 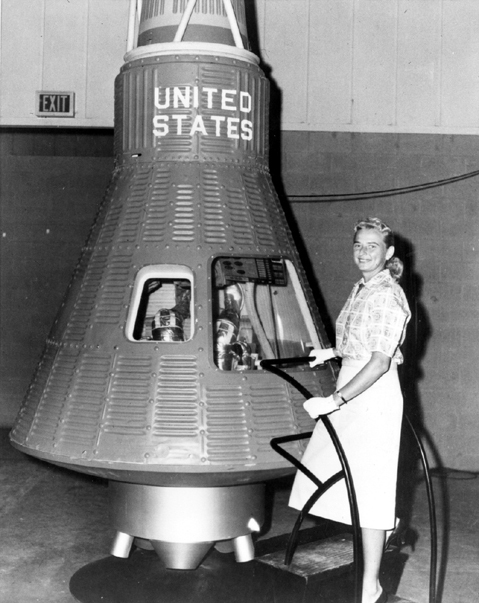 NASA EXPERIENCE: Colonel Cooper was selected as a Mercury astronaut in April 1959. 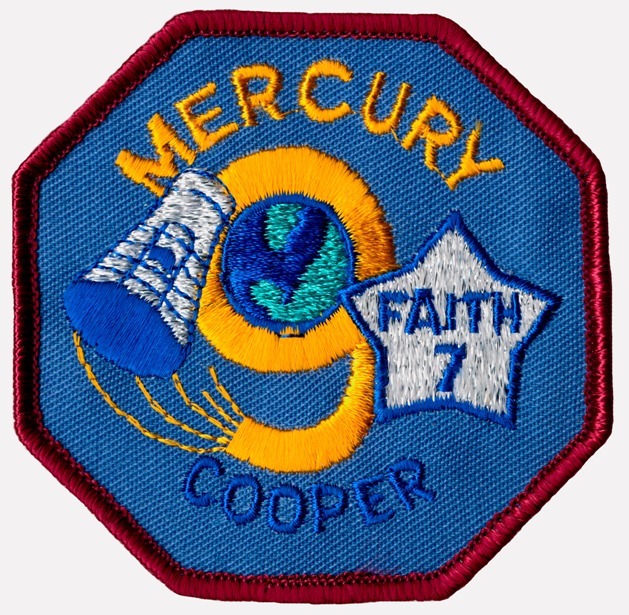 On May 15-16, 1963, he piloted the "Faith 7" spacecraft on a 22-orbit mission which concluded the operational phase of Project Mercury. During the 34 hours and 20 minutes of flight, Faith 7 attained an apogee of 166 statute miles and a speed of 17,546 miles per hour and traveled 546,167 statute miles. 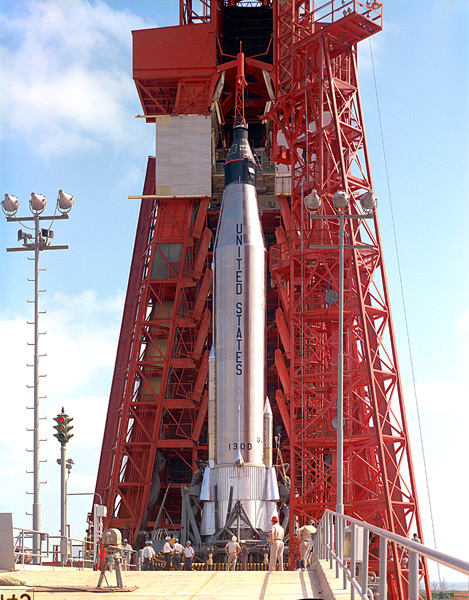 Cooper served as command pilot of the 8-day 120-revolution Gemini 5 mission which began on August 21, 1965. It was on this flight that he and pilot Charles Conrad established a new space endurance record by traveling a distance of 3,312,993 miles in an elapsed time of 190 hours and 56 minutes. Cooper also became the first man to make a second orbital flight and thus won for the United States the lead in man-hours in space by accumulating a total of 225 hours and 15 minutes. He served as backup command pilot for Gemini 12 and as backup commander for Apollo X. Colonel Cooper logged 222 hours in space. He retired from the Air Force and NASA in 1970. From 1962 to 1967, he was President of Performance Unlimited, Inc., a manufacturer and distributor of race and Marine engines, and fiberglass boats. From 1963 to 1967, he was President of GCR, Inc. They designed, tested and raced championship cars at Indianapolis and other USAC tracks, conducted tire tests for Firestone Tire and Rubber Company and pioneered turbine engine installation on cars. From 1965 to 1970, he was President of Teletest, Inc. They designed, installed and tested various systems using advanced Telemetry. From 1966 to 1969, he participated with Doubloon, Inc., on design, construction, and utilization of Treasure Hunting equipment. From 1968 to 1969, he participated with Cosmos, Inc., on Archeology exploration projects. From 1968 to 1970, he was part owner and race project manager of the Profile Race Team. He also designed, raced and constructed high performance boats. From 1968 to 1970, he was a Technical Consultant for corporate acquisitions and public relations for the Republic Corp. From 1967 to 1969, he was Technical Consultant for design and construction of various automotive production items for General Motors, Ford and Chrysler Motor Companies. From 1970 to 1972 he was Member of the Board of Directors and Technical Consultant for developing technical products and public relations in land development projects for Canaveral International, Inc. From 1970 to 1975, he was President of the consulting firm Gordon Cooper & Associates, Inc. They specialized in technical projects ranging from airline and aerospace fields to land and hotel development. From 1970 to 1974, he was on the Board of Directors for APECO which produced and marketed modular homes, computer systems, office systems, copy machines and boats and marine equipment. From July 1972 to June 1973, he was a Member of Board of Directors and Technical Consultant for Campco, a corporation which built campers and mobile homes. From August 1972 to December 1973, He was on the Board of Directors and a Technical Consultant for design and production of various advanced electronic systems for LowCom Systems, Inc. From 1972 to 1973, he was on the Board of Directors and a Technical Consultant for design and construction of lifting, inflatable, steerable foils which could land cargo and/or personnel at a precise spot for Aerofoil Systems, Inc. From July 1973 to January 1974, he was Vice President and member of the Board of Directors for Craftech Corporation. They specialized in the design and construction of economical homes, garages, storage buildings, and hangers of Craftboard and fiberglass. From January 1973 to 1975, he was Chairman of the Board for Constant Energy Systems, Inc. From January 1973 to 1975, he was Vice President for Research and Development/EPCOT for Walter E. Disney Enterprises, Inc., the research and development subsidiary of Walt Disney Productions. 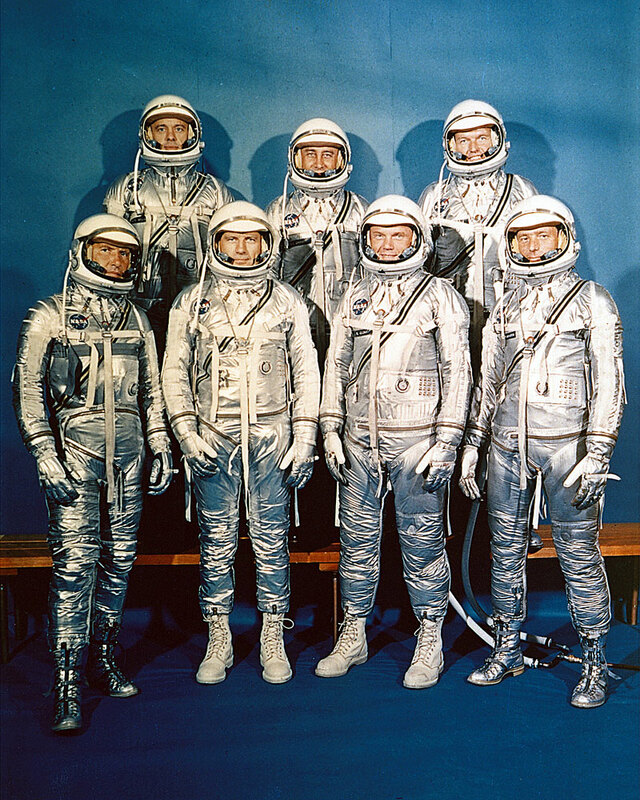 October 7, 1958 NASA formally organized its first "man-in-space program"
November 26, 1958 "Man-in-space program" dubbed "Project Mercury"
March 1959 More testing of candidates, pool winnowed to 32 men.